The whirlwind of 2018 veterinary conferences and meetings is in full swing. Thousands of veterinary professionals kicked off the year by attending VMX or WVC, while the rest of the year presents additional opportunities such as the Veterinary Innovation Summit, the American Veterinary Medical Association Convention and Fetch. It’s encouraging to realize that today we have so many ways to learn, but there remains an added level of engagement when we attend conferences. The conference experience for many includes the thrill and challenges of travel; the excitement and anxieties of being away from home and work; and the fun and fatigue associated with the many educational sessions and after-hours events. Conference attendees are exposed to innovative ideas that can be overwhelming, especially once the veterinary professionals return home and consider implementing the ideas in their practices. The ideas spinning around in their minds may lead to questions such as: Where do I start? How can I make all 42 great ideas happen immediately? Will they really work in my practice? Too many times, the overwhelming feeling and associated questions lead to non-action. What consistently is a key to successful implementation after exposure to a vast amount of information is to take all those ideas, prioritize, and choose the top one or two. That leads us to the power of choice. Not all attendees believe everything they learn at conferences will work imminently in their practices. However, the information may serve as food for thought. Others might believe that what they learn serves as the spark necessary to help take the next step forward. That’s one of the beauties of choice; we can make decisions that we believe will work for us. The benefits of new data, diverse ideas and future projections all help us make the best decisions possible for our practices. 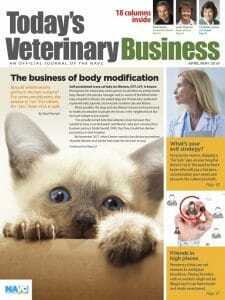 Today’s Veterinary Business strives to provide content that meets readers where they are and helps them with wherever they may be going. This issue includes a wide variety of stories, steps and perspectives. On the cover, one veterinarian explains why he engaged in diversionary activity. 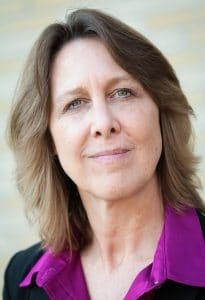 Dr. Lisa Greenhill discusses on Page 43 the steps to growing diversity within a veterinary practice. Dr. Aaron Massecar shares on Page 32 his perspective on future practice models. You may not agree that all the ideas in Today’s Veterinary Business are ready and ripe for your practice, just like your takeaways from conferences. You have the power of choice. I would like to remind you of your power of voice by inviting you to share your opinion about how we’re doing. Today’s Veterinary Business now offers Viewpoints, a letters to the editor section on Page 63. We welcome your feedback and look forward to sharing your viewpoint with readers. Remember, no matter what challenges come your way, nobody can take away your power of choice.